CWT Meetings & Events has appointed Ian Cummings as interim director for the UK and Ireland. The initial role is for a six-month interim period – which started on 1 October - to devise and begin implementation of a three-year business growth strategy. Cummings will report to Patrick Andersen, executive vice president UK & Ireland, Nordics and Eastern Europe, for Carlson Wagonlit Travel. "Ian has a proven track record in high-level leadership, with a strong background in customer and relationship management, which will benefit our clients and business," said Andersen. In his new role, Cummings is part of the CWT UK & Ireland leadership team. 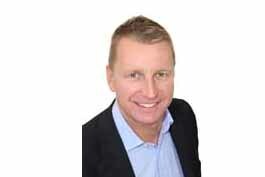 He joins CWT Meetings & Events UK & Ireland following 24 years’ experience in general management, senior sales and marketing roles. Most recently, Cummings was chief executive of eCourier, a same-day courier business. The role was previously carried out by Pauline Houston, who now works as CWT global hotel content director.